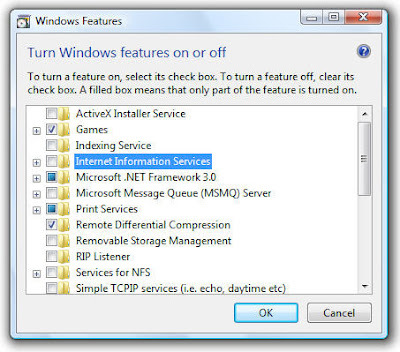 Recently I configured IIS on my Windows Vista Operating System. 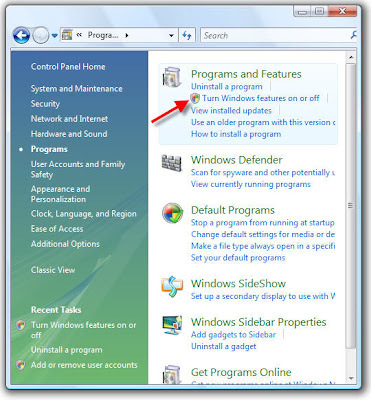 I first tried following the Windows XP process of going to Start-->Settings-->Control Panel-->Add Remove Program, but at last wondered to see all new user interfaces. 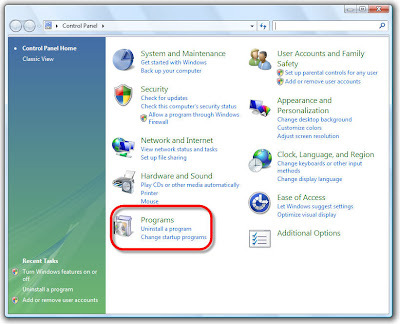 As there are many changes in the user interface I took almost 10 minutes to identify the control panel application which allows me turn on or off windows features like IIS, MSMQ, Printer Services, Indexing Services, etc. This is very nice, ... but what is "safe" to turn off? What changes will take place and why? I need to free-up resources! This 'HOG' (Vista) eats everything, all the time! At this rate, my new hard drive will be hammered in six months!